With Ebola claiming more and more victims everyday, Dr. Unni Krishnan Head of Disaster Preparedness and Response, Plan International has issued a statement calling out to the global community to work together against it. 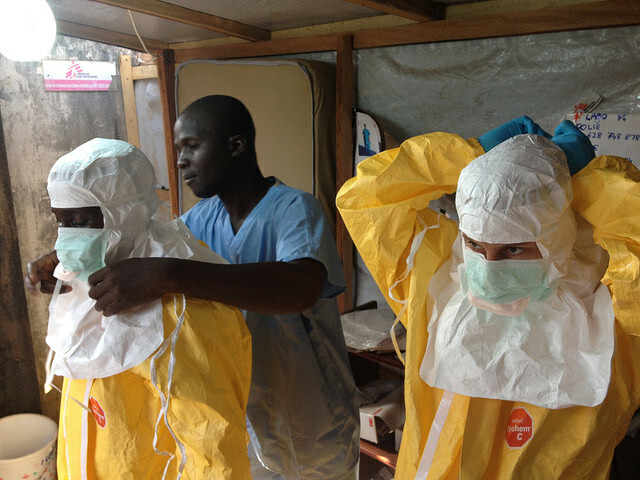 Liberia, Sierra Leone, and Nigeria have declared Ebola as national emergencies. The military has been deployed in an attempt to quarantine people and stop their movements and therefore the spread of the disease to new areas, he said. Emphasizing on collective effort, Krishnan talks about the need for countries to focus on healthcare systems and disaster preparedness. In his statement, Krishnan explains what makes Ebola so threatening. Ebola is one of the world’s most virulent diseases and it spreads through contact with an infected person’s bodily fluids, he said. Initial symptoms are the sudden onset of fever, intense weakness, muscle pain, headache, and sore throat. Such common symptoms make it hard to detect Ebola easily. There is no vaccine or cure and Ebola kills up to 90% of those infected, Krishnan explained. Complementary care such as re-hydration can help to save lives in some instances. Stopping the spread, through public health promotion and better awareness, is the best way to reduce infection rates and reduce deaths, according to him. The outbreak is not showing any signs of slowing down and thus it is not an easy moment to predict its future, he said. Krishnan urged the governments of the world in his statement to invent the future of the outbreak as the next best course of action and detailed the steps to be taken. 1) Intensify care and support (including emotional care) for infected people, their families, health workers, and caregivers through additional isolation care and support units across the impacted countries. 2) Reach out to the most vulnerable people such as children and women who are often in far-flung remote pockets. This must be addressed with the utmost seriousness – through setting up better health care facilities and public health communication. 3) It is time to shift gears and step up surveillance and public health promotion in the other seven countries that are on alert (Guinea-Bissau, Senegal, Mali, Ghana, Benin, Burkina Faso, and Niger). Act now to stop Ebola reaching these countries. 4) Rich nations and emerging economies need to be generous and deploy all possible resources to intensify the battle against Ebola. It is in the best interest of the whole world to intensify the battle against Ebola and stop its spread. Krishnan called this outbreak as a wake-up call to build strong public health systems and improve epidemic preparedness measures.